Can you believe that it is already the start of a new week? To get your week off to a great start, there is a new Monday Montage Blog Hop! The weather is starting to warm up and I find myself reaching for more summery colors. I particularly love the color scheme of Crushed Curry, Pool Party, and Blackberry Bliss on this card. The Kinda Eclectic Stamp Set is great for some subtle background layering stamping. You have seen me do this technique of resist embossing many times. 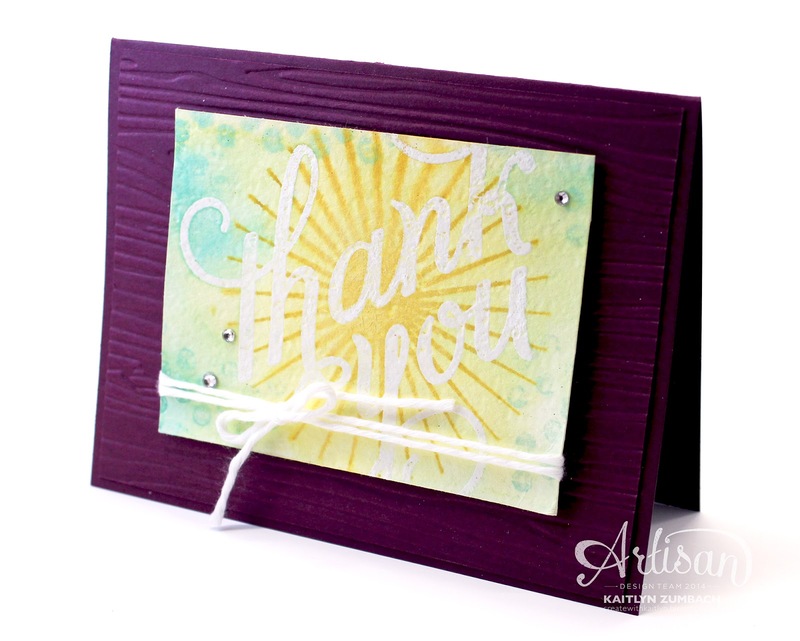 I embossed the "Thank You" in white first, then water-colored and stamped over it and wiped off any excess ink. This allows for the sentiment to really pop. The variety of textures really make this card unique and special. 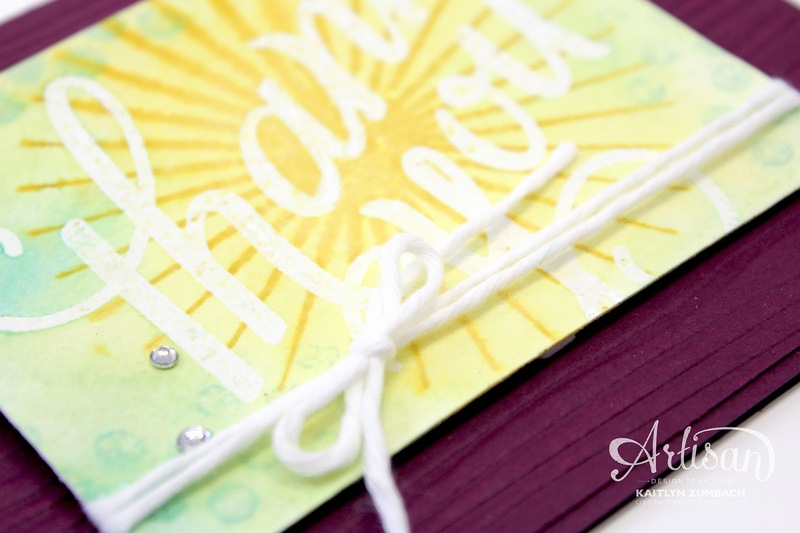 The wood grain contrasts nicely with the water-coloring and the cotton twine adds a great touch of softness. As a always, a few rhinestones add a little bit of glamor and finish the card off nicely. You won't want to miss anyone's projects, so use the buttons below to check them out!